Stephanie H. Allen is a Partner with the firm who focuses her practice in the areas of government affairs, land use and zoning, administrative law and real estate law. 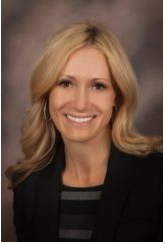 Stephanie represents local and national developers, home builders, property owners and individuals on land use and zoning and real estate matters in Nevada. She appears before various local governmental boards and commissions on issues related to land use entitlements, development agreements, inter-local agreements, government contracts and property tax appeals. Since 2004, she has appeared on numerous occasions at council, commission and board meetings representing clients and gaining approvals for the development of residential, high-rise, mixed-use, commercial, industrial, gaming and master-planned communities. In addition to land use related matters, Stephanie has successfully represented clients on hundreds of property tax appeals before the various Boards of Equalization. Stephanie also represents clients on other real estate related matters such as lease negotiations and drafting, utility and easement agreements and purchase and sale agreements.